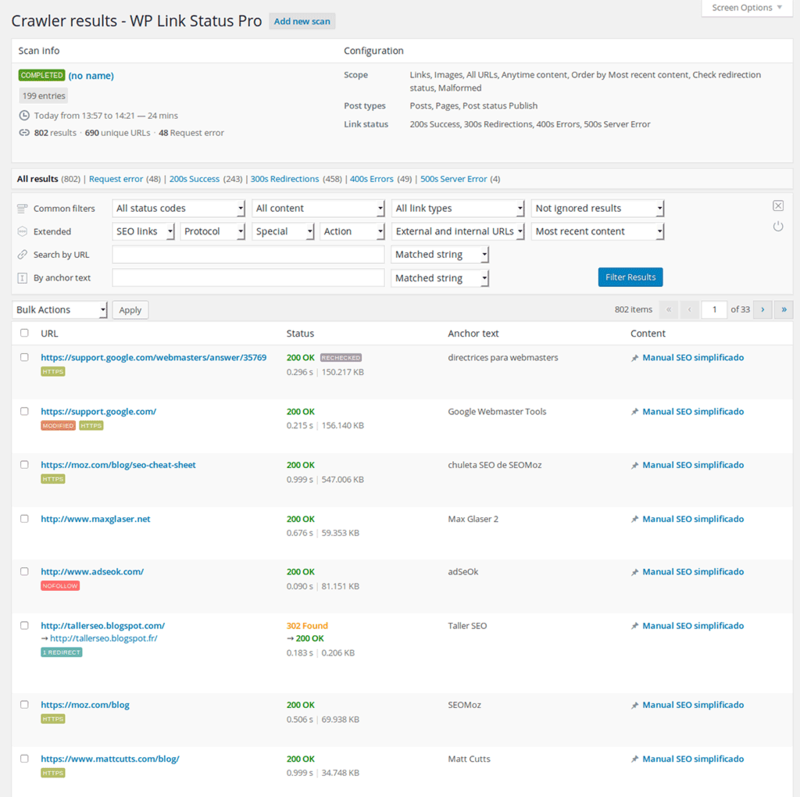 WP Link Status Pro is a WordPress broken link checker plugin that verifies the HTTP status response codes of all your content links and images. 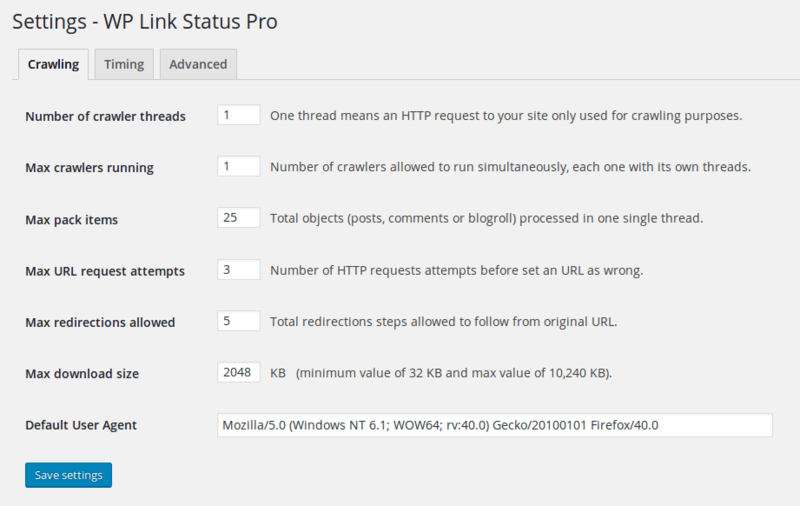 It works crawling your content, extracting links and images, looking for broken links, redirections, nofollow links, etc. Create multiple scans, each one containing its own configuration and results. 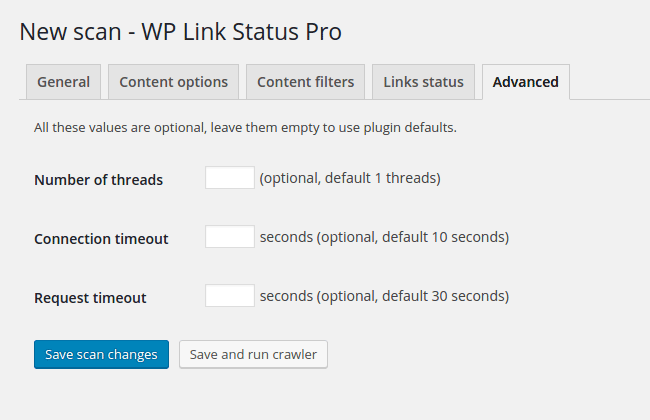 Run the crawler in background mode, no WordPress session needed. 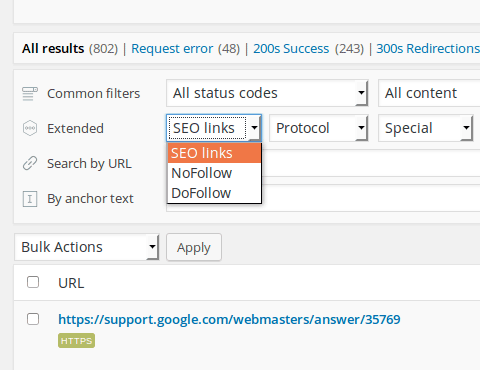 Advanced filters criteria and search by URL or anchor text. 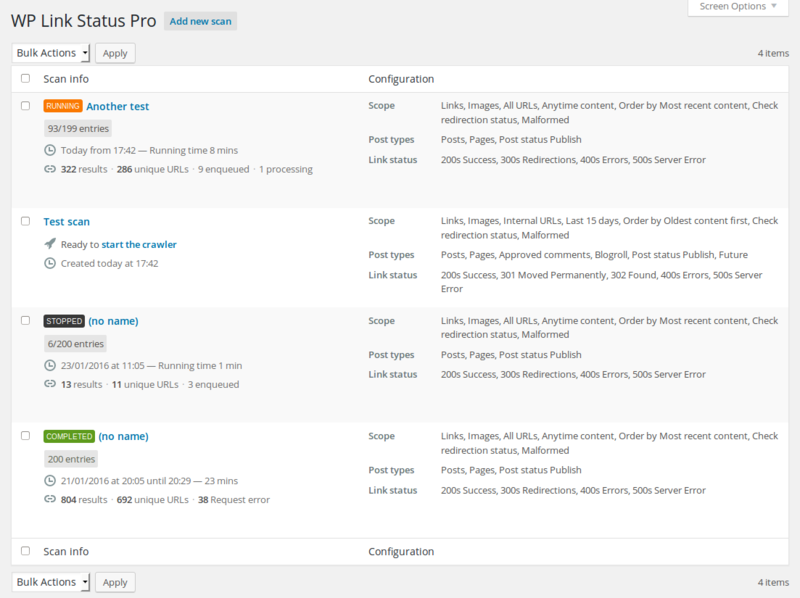 Edit content directly from crawler results without having to enter the post editor. 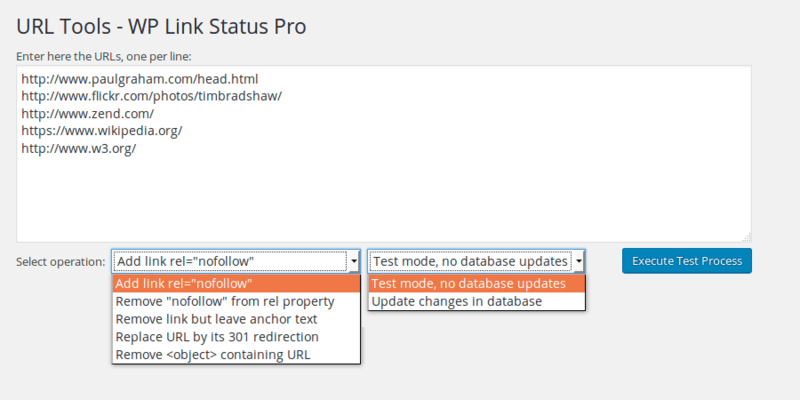 Change URLs, anchor text, manage nofollow links, replace redirections, etc. 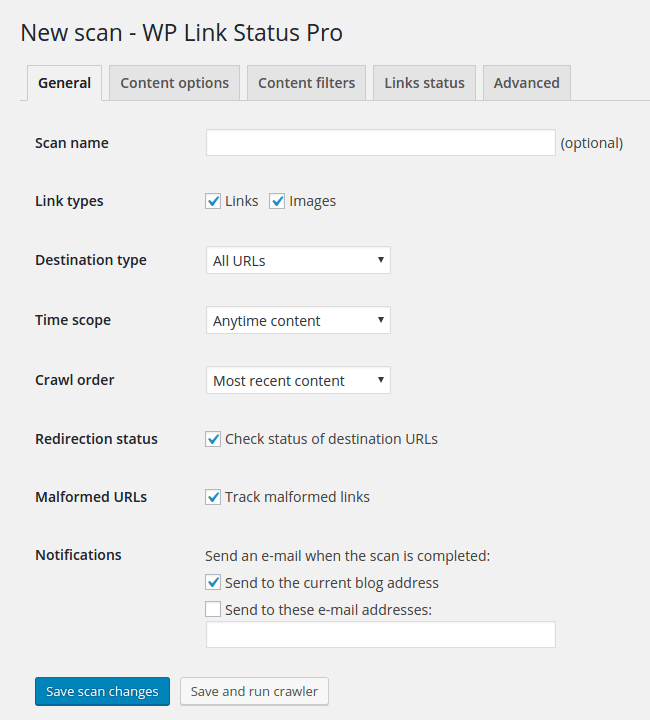 Extra URL tools to perform massive changes matching post URLs. 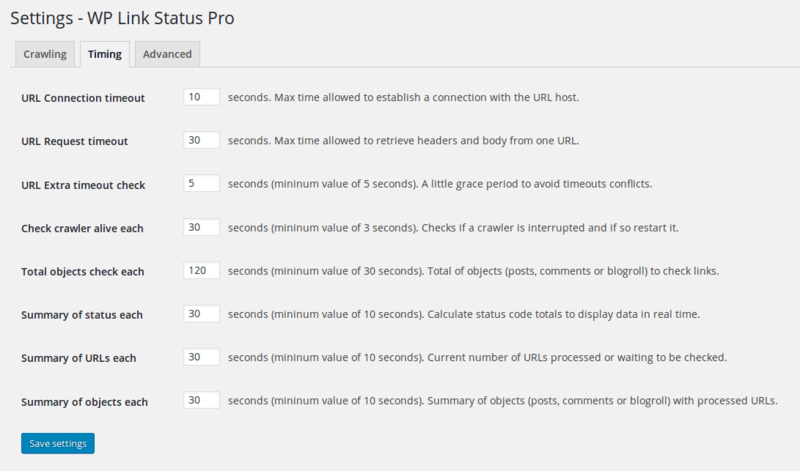 Any crawler parameter configurable via extended settings page. Download and install a demo version with almost all premium features. Please try the demo before you buy it to ensure your hosting compatibility. 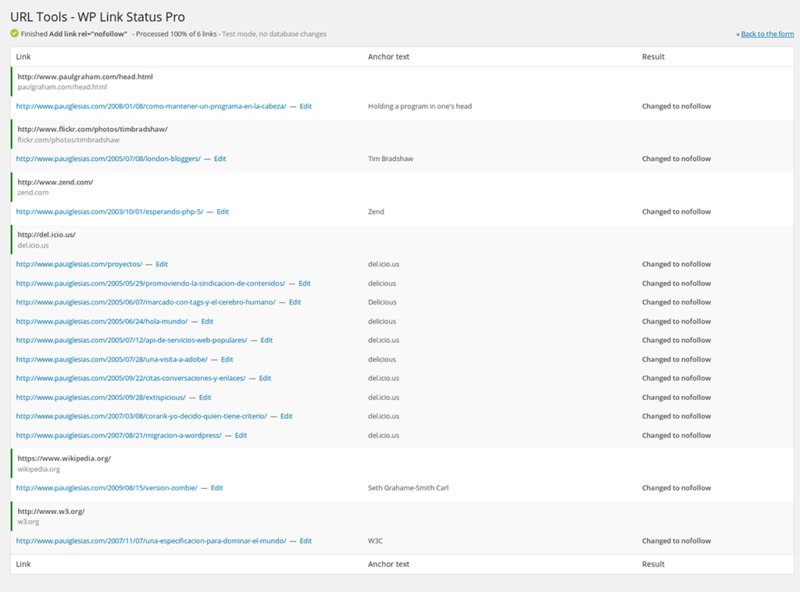 This plugin does not support network-wide activation for WordPress Multisite, so in case of multisite installs it needs to be activated per each blog individually. Also it is recommended to run only one scan per blog at the same time to prevent server performance issues. 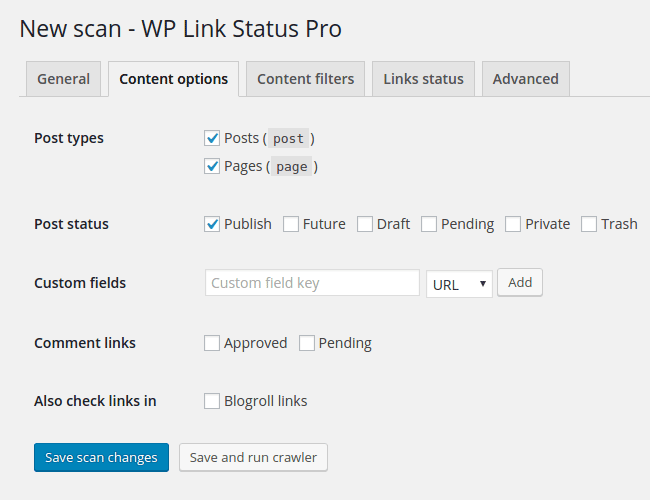 Another issue detected with the WP Secure plugin, you need to deactivate this plugin in order to run the scan properly. 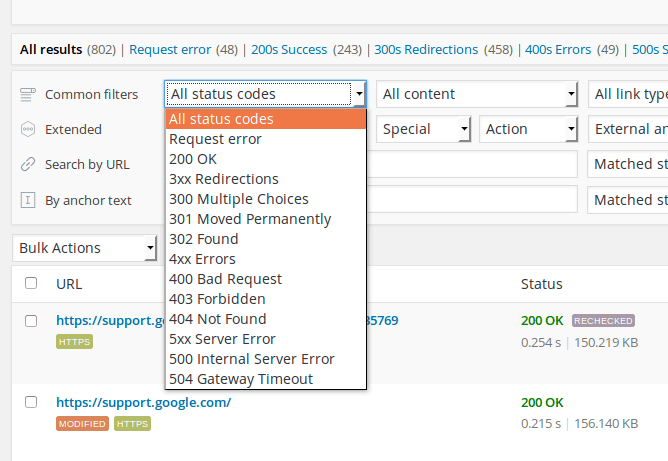 Some users have reported issues for GoDaddy hosting due restrictions for sites with HTTPS enabled and the cURL module (an internal server module used to make HTTP requests to check the links) for some hosting configurations. 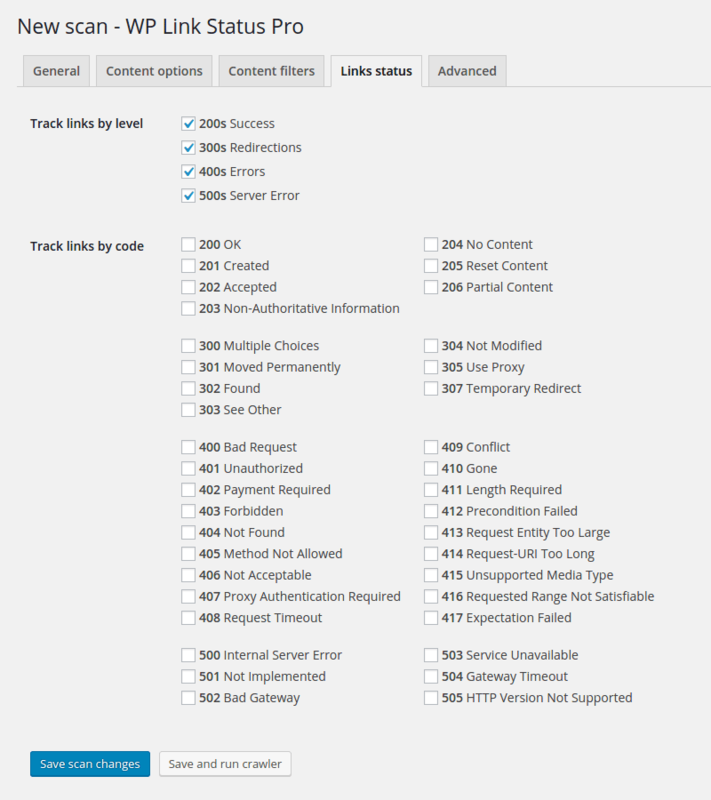 It seems that GoDaddy applies limits for this module via proxy or similar. For this case it is a hosting-level problem, so this plugin have nothing to do to solve it. Please try the demo before buying to ensure your hosting compatibility. Or read our step by step detailed Extended User Guide. 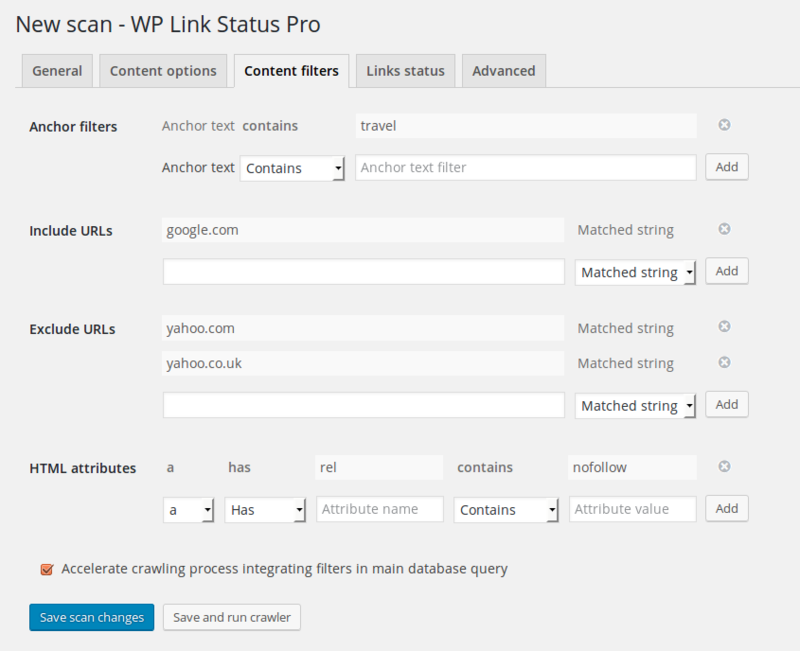 Contact through the WP Link Status Pro plugin page or this item comments.